Chris Moore, Chief Engineer of the Betton Grange project, took the time to answer questions from New Build Steam. In August 1998, a few people who have been involved with the restoration of 5199 came up with the idea of ‘building a Grange’, however the company formation was not completed until May 2003, when the project became a reality. The first working weekend at Llangollen was in August 2003, with the frames being cut in 2004. So we expect 15 years in the making! We like to keep costs to a minimum and being a volunteer led build, along with utilising the Great Western idea of ‘standardisation’ of parts and thrifty recycling, the build should come in (including the tender) at around £1.5 Million. There is still a lot of assembly work to be done. I hope to have the front end of the chassis complete by early 2018, the pistons and valve gear in place. We are also currently work on assembling the braking system, along with the draincock mechanism and the sanding gear. In the new year I hope to be concentrating on pipe runs, plumbing etc. 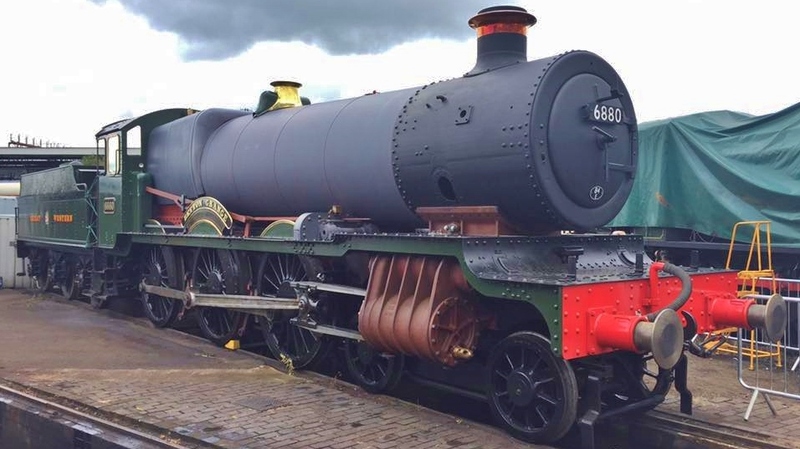 The boiler is due for completion late spring/early summer and I would be delighted to be in a position for it to be placed straight in the frames on return from Tyseley. Our members come from all areas of the country: we have those who are committed rail enthusiasts, those with a genuine GWR 4-6-0 interest, those who have been attracted by the progress of this new build, family and friends. It is sad that some of our late members will not see the completed engine but their past contribution are much respected and valued. The appeals have certainly helped tremendously, along with Adopt a Grange and parts sponsorship. 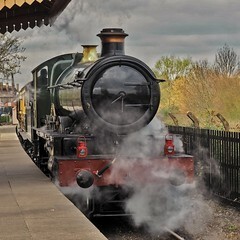 It is humbling the generosity of our members and ‘rail enthusiasts’ and the public. In addition, we were delighted last year to welcome Mark Evans, TV presenter as our Ambassador. Mark and his parents recently attended our Members’ Day, when he addressed our members and enjoyed a footplate ride on [Prairie tank] 5199. It was also an occasion that added much needed funds, again thanks to the generosity of our members. We have had some problems, but nothing that recently cannot be overcome. As Chief Engineer of the build, I have built up a rapport with our suppliers and ensure that they meet my timescales, I have gone that extra mile to ensure reliability and insist on quality, timeliness and cost. Yes there have been some issues but nothing insurmountable and I will not allow them to delay the build! The GWR new build projects seem to be split between Didcot and Llangollen, operationally – is there much dialogue / co-operation between projects at the two centres? There has been some on a personal level but in my opinion nothing like enough. We should all be co-operating, nothing is a competition. 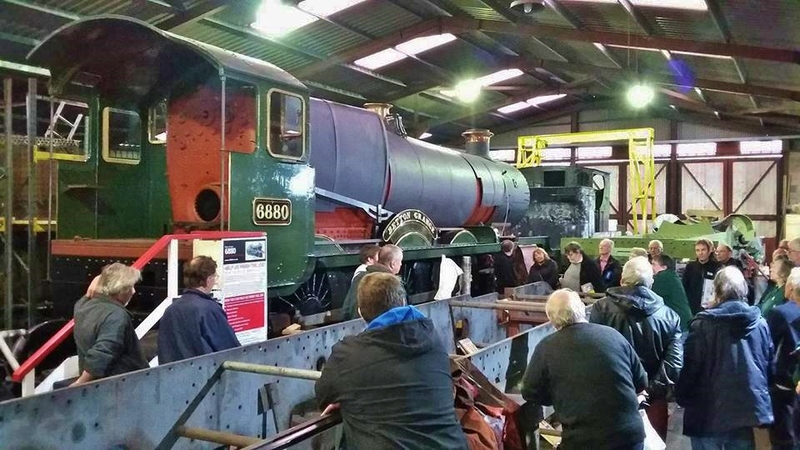 Obviously the Grange is an independent project that happens to be at Llangollen being built mainly by volunteers with paid engineering where appropriate, whereas the Night Owl project of the GWS is being built by Llangollen Engineering. Who does the work on the locomotive? Steam enthusiasts tend to be older –what’s the demographic of your group like? The majority of the work is done by ‘active volunteers’, whilst we do pay for some work where necessary. We are a mixed bunch and currently there are about 20 of us, who contribute our time over the year with between 6 -12 being at any one working weekend. Our regular volunteers include some in their 20’s, 30’s, 40, 50’s, 60’s and 70’s male and female. We need the strength, enthusiasm of the younger people as well as the experience and skills of the older generations. People! However: one of the biggest successes since I took over the role of Chief Engineer though was ‘managing’ the manufacture of the cylinders, from the conception drawings by Pete Simpson, to the discovery of the original drawing at NRM at York, to the final 3D CAD by Elliot Powick, to the use of a poly pattern, researching original material specs, to watching the metal being poured, to witnessing the raw castings for the first time, to overseeing the machining, to fitting and to pressure testing (with a unique blanking off system that I developed). I cannot wait to see them in action for the first time! Are you still looking at the same hoped-for completion date – late 2018 in steam, 2019 fully operational? Providing that we have the resources, both financial and people then yes, I would like to see Betton move under her own power by late 2018/early 2019 and be in traffic towards the end of 2019. We have launched our ‘Final Push’ Appeal to raise £70,000 to give us the much needed funds for finishing the engine. However we shall first run with a borrowed tender, and I hope that within 2 years we shall have our own tender and that is when we shall have final completion. If we are ever to go mainline, we shall need our own tender and that is providing that width gauging issues on network rail can be overcome, as we have built the Grange true to the original design. Photos above courtesy of the 6880 Society. Featured image on front page adapted from a photo by David Moyle under Creative Commons licence CC BY-SA 4.0 and available for reuse under the same licence.